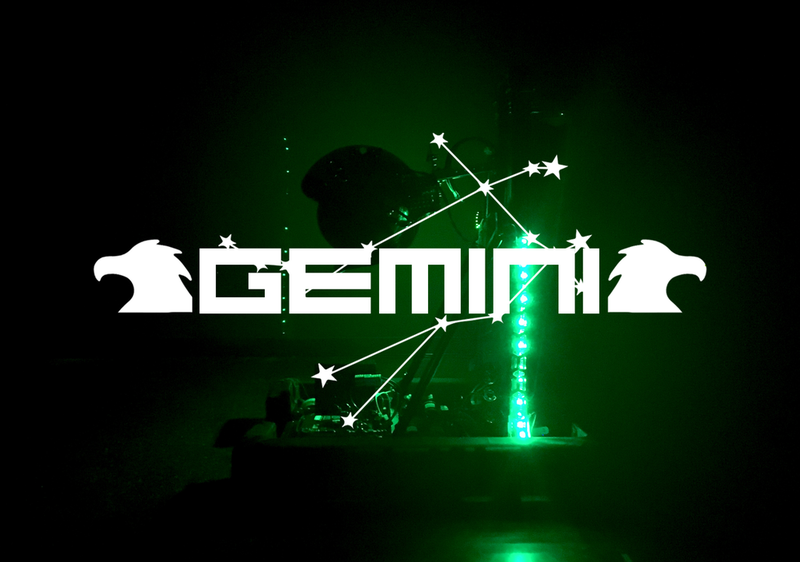 Our robot Gemini has several features. It has two swappable intakes: Pollux for hatch loading, and Castor for cargo. They can be switched between matches to better fit our alliance’s needs. Additionally, it can do either of these tasks for the whole rocket. It can start the game and park on the first level of the platform. Gemini has a shifting West Coast drive gearbox that allows it to prioritize either motor speed or torque. © 2019 FRC Team 5549 Gryphon Robotics.